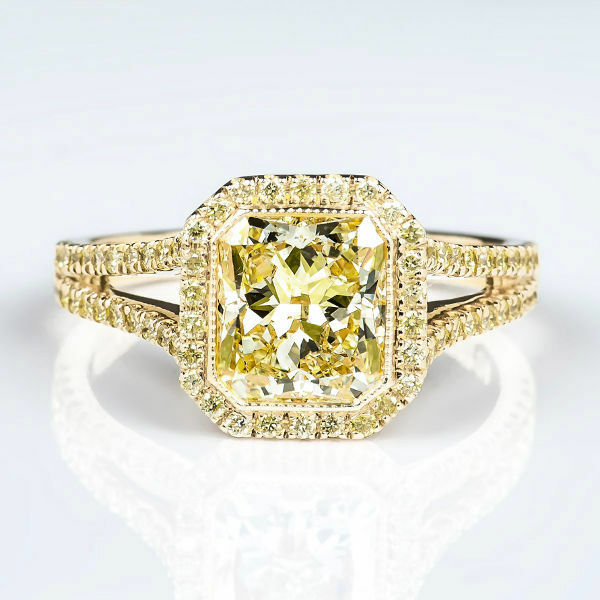 The ultimate vintage style canary yellow diamond engagement ring. Radiant cut fancy light yellow diamond weighing 1.70 carat mounted onto a split shank halo ring with 109 yellow diamonds weighing an additional 0.49 carat. A spectacular yellow diamond ring.